The partial government shutdown, the longest in U.S. history, has crippled numerous federal agencies from the Food and Drug Administration to Homeland Security. The impact on the foodservice industry has been widespread, from the halting of routine food inspections to a decline in sales at restaurants that rely heavily on federal workers. “We are in uncharted territory. This is a watershed moment in the life of this agency," FDA Commissioner Dr. Scott Gottlieb said on Friday. Consumer sentiment dropped this month to its lowest level since President Trump was elected as U.S consumers have grown restless over a host of economic issues including the partial government shutdown, according to a survey released this week by the University of Michigan. The monthly index dropped to 90.7 in January, compared to 98.3 in December, and 95.7 for January 2018. When consumer confidence drops, consumers tend to rethink their budgets often trimming discretionary spending, the report states. Traditionally, dining out and entertainment spending are among the first cuts consumers make during economic downturns. Kefauver said he suspects restaurants near national public sites that are closed are likely hurting because of a decline in tourist visits. Still, the overall economic impact on the industry is unclear. The National Restaurant Association, whose members include more than 500,000 restaurants, declined Friday to comment on the shutdown. Regional impacts have been felt in communities with a large presence of federal employees such as in Washington D.C.
Chris Fusco, a general manager for Luke’s Lobster in Penn Quarter, told the Washington Post that sales are down between 30 and 40 percent for the month, compared to last January. Throughout the shutdown The Department of Agriculture has continued inspections though its inspectors are not being paid. The USDA’s Food Safety and Inspection Service division regulates meat, poultry and egg products. It’s been a different story at the FDA, which regulates about 75 percent of the U.S. food supply. Initially, the agency halted routine food inspections crucial to preventing foodborne illness outbreaks. However, on Jan.14, Commissioner Gottlieb announced plans to resume “high risk food inspections” such as cheese, seafood and infant milk. “We'll also do compounding inspections this week. And we started sampling high risk imported produce in the northeast region today. We'll expand our footprint as the week progresses. Our teams are working,” he said on Twitter. Gottlieb told the the New York Times that high-risk inspections account for about one-third of all food safety inspections. The Center for Science in the Public Interest said it is glad to see the FDA resume some inspections. However, a spokeswoman for the consumer watchdog organization told NRN that the fact remains: two-thirds of routine inspections normally done by the FDA are still not being conducted. That includes inspection of facilities that manufacture processed foods such as peanut butter. Scott Horsfall, CEO of the California Leafy Greens Marketing Agreement, said audits of the leafy green industry in California and Arizona are not impacted by the partial government shutdown. Members of the produce group, created more than a decade ago after a series of high profile e-coli outbreaks, are subject to tighter government regulation. Their products, everything from romaine to spinach, are “certified” by state inspectors in Arizona and California. “This means that government audits are regularly taking place in leafy greens fields to verify farmers are following all 150 food safety checkpoints that are part of each LGMA audit. Each member of the LGMA is audited an average of five times during the year,” he said in a Jan. 14 statement. The federal E-Verify electronic verification employment system remains closed for business. The E-Verify system compares information from an employee’s Form I-9 with Social Security Administration records. It is administered by the Department of Homeland Security, which is among the agencies partially shut down in the budget impasse. Attorney Molly Gwin, of the firm Isaac Wiles based in Columbus, Ohio, said even in the absence of the E-Verify system, employers are still required to complete Form I-9 within three days of an employee beginning work in accordance with the law. Gwin, who specializes in labor law, said employers should not hold off on hiring employees due to the government shutdown, but rather document hires through the Form I-9. Several restaurant companies, as well independent concepts, have stepped up to offer free food for furloughed employees during the shutdown. 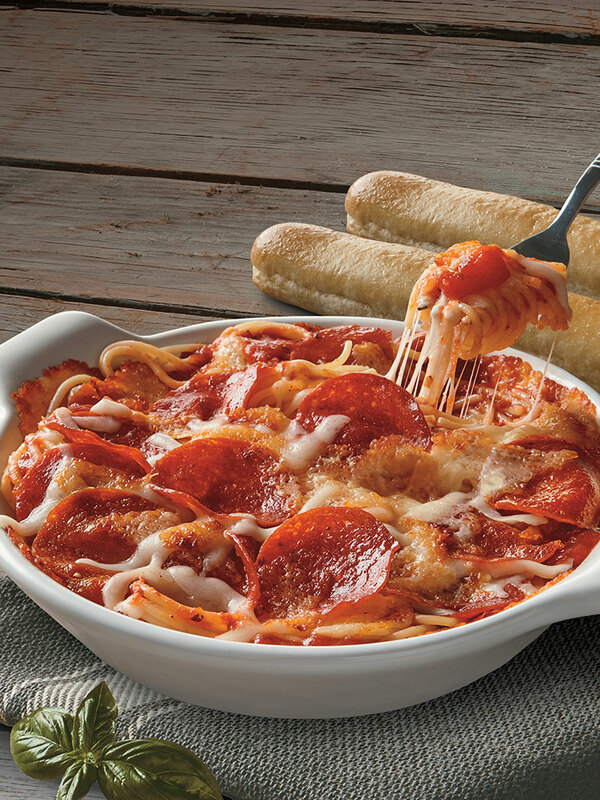 Lexington, Ky.-based Fazoli's said it would give federal workers a free pizza baked spaghetti entrée with purchase of a drink. The deal was initially offered Jan. 7 through Jan. 13. However, the chain told NRN that they have extended the offer indefinitely or until the shutdown ends. As of Friday, the company had logged nearly 800 redemptions from furloughed workers. “We understand how hard the furlough can be on families and wanted to do our part to make life a little easier on the people in our communities who have been affected by the shutdown,” CEO Carl Howard in a statement to NRN. Starting Friday, Jan. 18, two Texas restaurants owned by former ‘Top Chef’ contestant John Tesar are offering one of the chain’s signature burgers, the Ozersky Hamburger, for $1 to federal employees impacted by the shutdown. 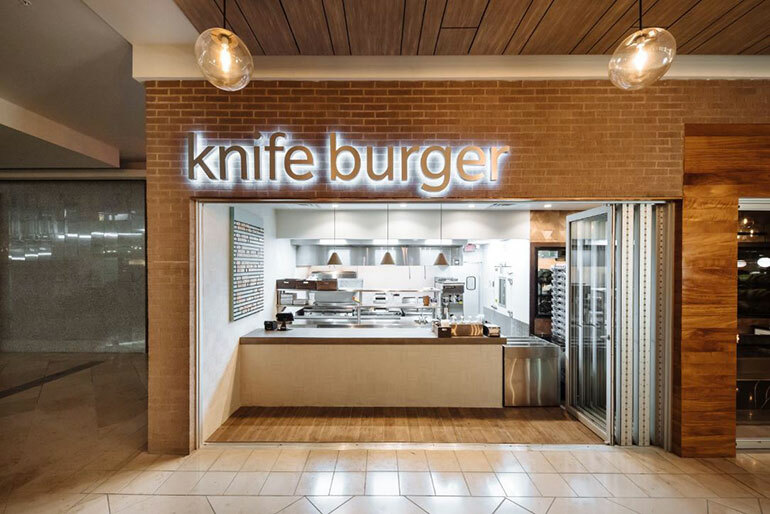 Tesar’s Knife Burger restaurants — one at The Shops at Willow Bend in Plano, Tx. and the other at the Food Hall at Crockett Row in Fort Worth, Tx. — are offering the classic cheeseburger burger named after the late food writer Josh Ozersky. A Knife Burger representative said the offer is ongoing throughout the duration of the shutdown. On Friday, San Diego-based Pizza Nova treated TSA agents at San Diego International Airport to free food, as well on Friday.